Tropical Oaks are native from Eastern and Northern Australia. 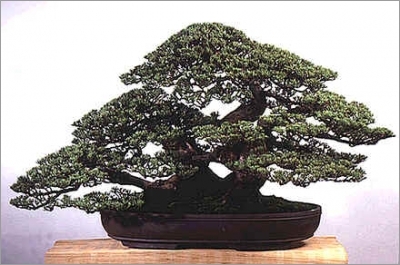 An evergreen tree that makes a classic bonsai. It's a fast growing tree that can reach 20 meters tall in the wild. A dignified tree with finely fissured and scaly, grey-brown bark. Thick branches start growing low to the ground much like that of a pine tree. The bark is finely fissured and scaly, grey-brown. An attractive spreading form with needle-like foliage. 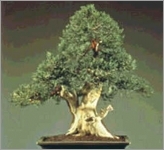 Young trees typically have a pyramidal crown with ascending branches; the crown becomes more open with maturity. It's a tree that tolerates hard trimming. Male flower spikes are borne at the tips of shoots and small rounded female flowers occur in clusters along the branches. Fertilized female flowers develop into rounded cones which ripen in the Fall and shed seeds.